I have been spending a little time with my grandsons, but when they are sleeping I am in the studio. I am still wishing for Fall by making cards with that theme, but it is not working...still in the 90's here with no relief in sight. I masked off two areas of white card stock and did a little inking over Letter Background that I had stamped with Watermark ink....I just love how this technique leaves just a hint of the script writing showing through. 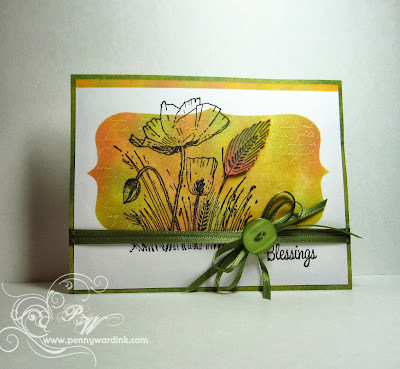 Stamped Field of Poppies in Black then stamped again on a scrap and fussy cut the weed/wheat/whatever that thing is. The sentiment is from the Tree-mendous set. 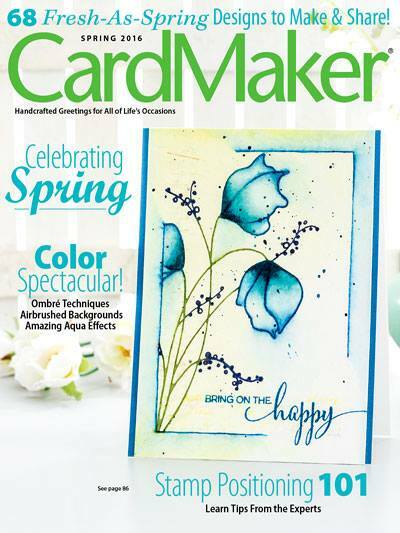 There is still time to get your projects in for the Color Combo Challenge at Penny Black...you have until September 27th....there are PRIZES!!!! Hoping you are having a wonderful weekend. Guess those of us in the Southeast have to make our own seasons! This is gorgeous! I love the subtle lettering. And the colors are scrumptious! 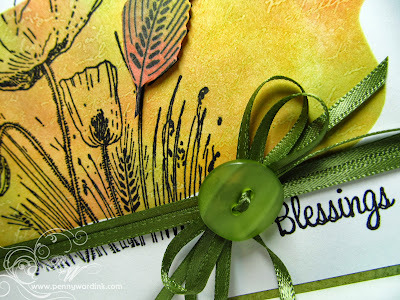 Gorgeous card and colors. Great design too. Beautifully done, Penny - love the subtle text in the background, and the way your stamped flower overflows the wonderful inked background! Love your design!